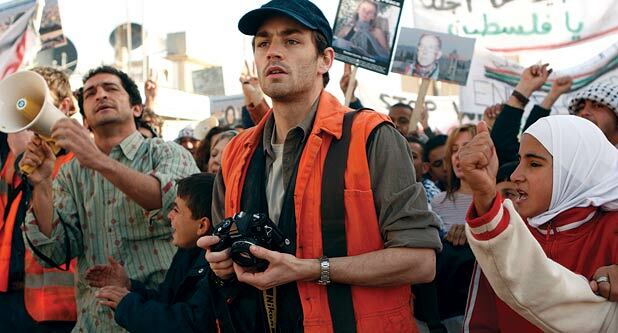 In January 2004, British photography student Tom Hurndall died after being left in a coma for nine months, the victim of a bullet fired by a member of the Israeli Defence Force. The fact that the killer, Taysir Hayb, was handed an 11-year sentence for the crime may make it seem as though the Israeli authorities were taking civilian deaths seriously in their battle for the Gaza Strip. But when you consider that the sniper was one of many Bedouin Arabs drafted in to fight for Israel, the relative ease with which he was made a example of has a fresh spotlight shone onto it. This intriguing subtext plays second fiddle to the core drama of a well-to-do British family’s fight for justice after the irrational death of their son. Kerry Fox and Stephen Dillane play the parents struggling to comprehend their personal tragedy while battling to find an inner strength to take on the might of the Israeli army. This David and Goliath tale is yet another thread in Channel 4’s already massive cardigan of dramas revolving around the Middle East crisis since 9/11. As such, the horror seems almost overly familiar and our reactions depressingly formulaic as another senseless act is laid before us.